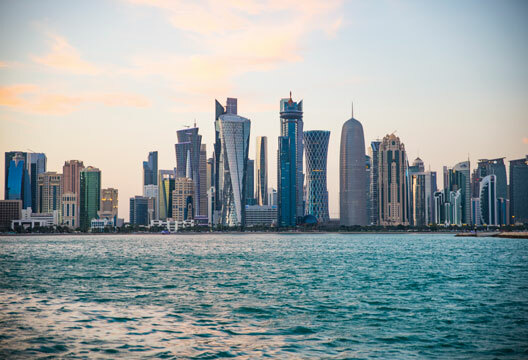 Again, a faraway location for a Psychologist Featured Job: last month we highlighted roles in Thailand; this month we focus on a psychologist role in Doha, the capital city of Qatar. Doha is far and away the largest city in the country with a population close to 1.5 million. Qatari nationals make up a minority of the population: the majority are from South East Asia, though with sizeable populations from Australia, the USA and Europe. The city is on the Persian Gulf coast; its climate will appeal to someone who likes heat and sunshine and doesn’t crave rain! Arabic is the official language though English is used widely as a second language, especially in commerce. The investment going into the city is unrivalled. It held the 2006 Asian games and will host the FIFA 2022 World Cup. There are many sports facilities in the city, new investment in transport systems (including a new airport and a metro system under construction) and a number of art and cultural initiatives including the iconic Museum of Islamic Art. Mind Institute began with the dream of two sisters, both experts in education, who founded Little Academy nursery in 2006. It grew quickly to being rated as one of the top five nurseries by the Ministry or Social Affairs in Doha. Substantial growth demanded a second branch, which opened in 2014. Its cross-disciplinary team, from the UK, Canada, USA, South Africa, and France, includes nursery teachers and managers as well as nurses and a nutritionist, who all share a vision for the next generation in Doha. The more Little Academy Nursery grew and expanded, the more these educators noticed the prevalence of special needs among the children they were seeing. It soon became clear that the Little Academy Nursery couldn’t accommodate children with learning disabilities and so a centre with dedicated facilities and staff was needed. The Mind Institute was born. This is a brand new, state-of-the-art facility that works with children with communication disorders, fine and gross motor challenges, language delays, emotional disorders, sensory integration issues, social skills challenges, and more. The facilties and staff are the first of their kind in Doha, featuring multilingual special needs therapy. It will offer a holistic non-medical after-school programme using brain-based approaches, targeting measurable changes in academic performance. The Mind Institute is a catalyst of demonstratable change for children with special needs and their families. From the success of Little Academy Nursery and the vision to take it a step further, the leaders of Mind Institute have expanded their scope, refined their methods, grown their resources and, most importantly, stayed true to their original purpose and passion: educating children of the future.